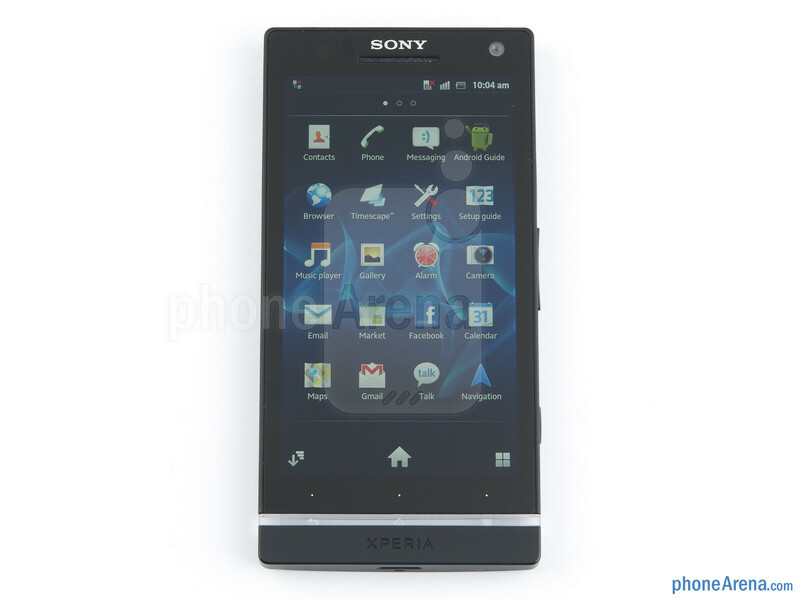 Sony is starting fresh after 10 years of marriage with Ericsson, and thus the Xperia S marks a whole lot of firsts for it. 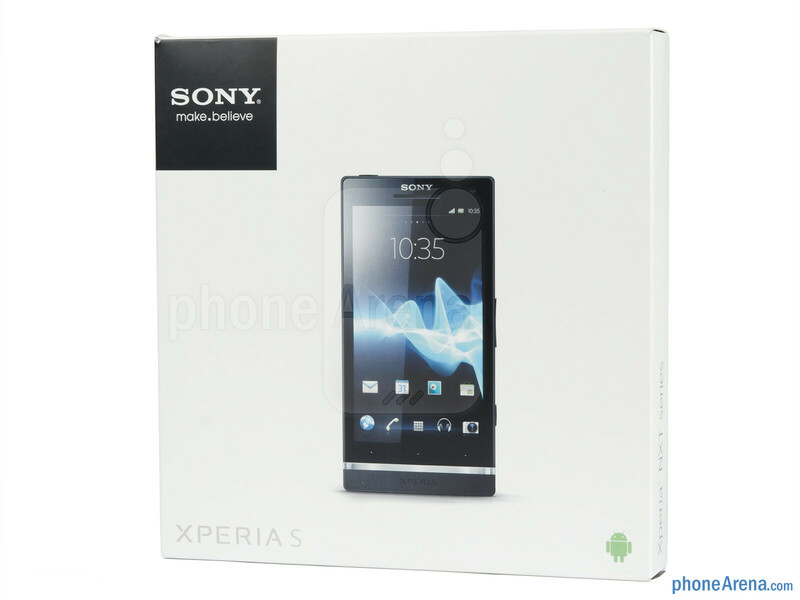 It is the first handset branded simply “Sony”, as well as the first with the new “Iconic Identity” design of the renamed Xperia NXT line. 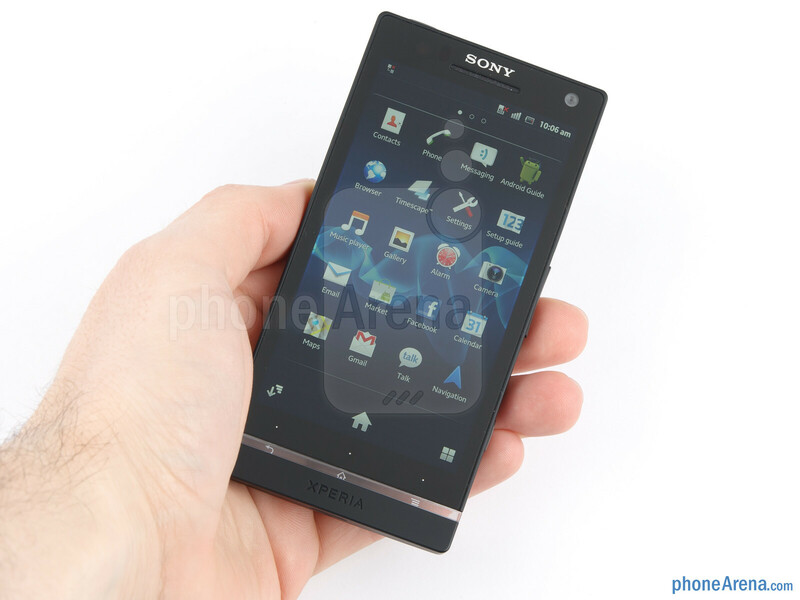 That’s the big picture, but the device itself also consists of elements that have never been in a Sony smartphone, like an HD display, multicore chipset and microSIM card slot. 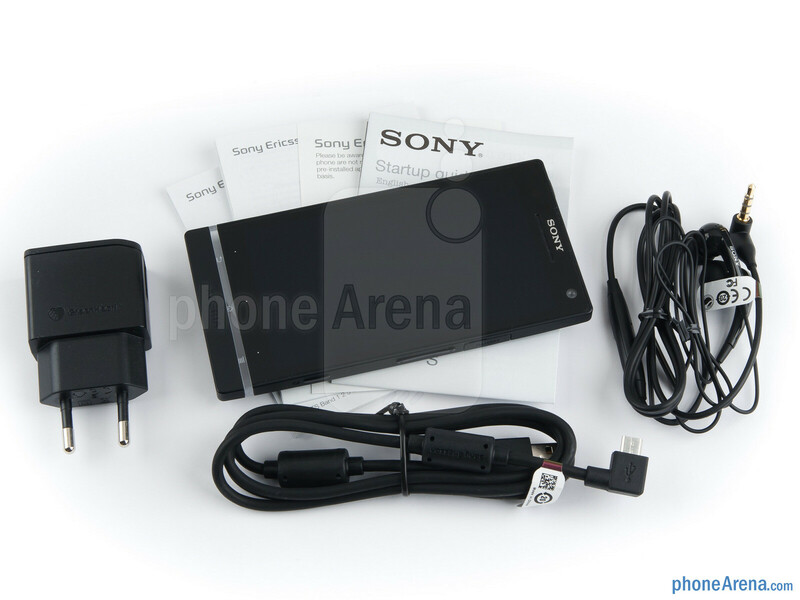 Most would be satisfied with so many firsts, but not Sony - it also gave the handset a very capable 12MP Exmor R sensor on the back, and hopefully started a trend by shipping it with the generous 32GB of internal memory. The phone looks like a boxy slab, especially our black review version, yet it weighs close to the iPhone 4S, and when picked provides a firm grip precisely because of the sharp edges. It still offers the slightly curved back of the former Xperias for added grip comfort, but its matte plastic is a bit slippery, so the phone not being overly thin as some other anorexic handsets helps to grip it tight. 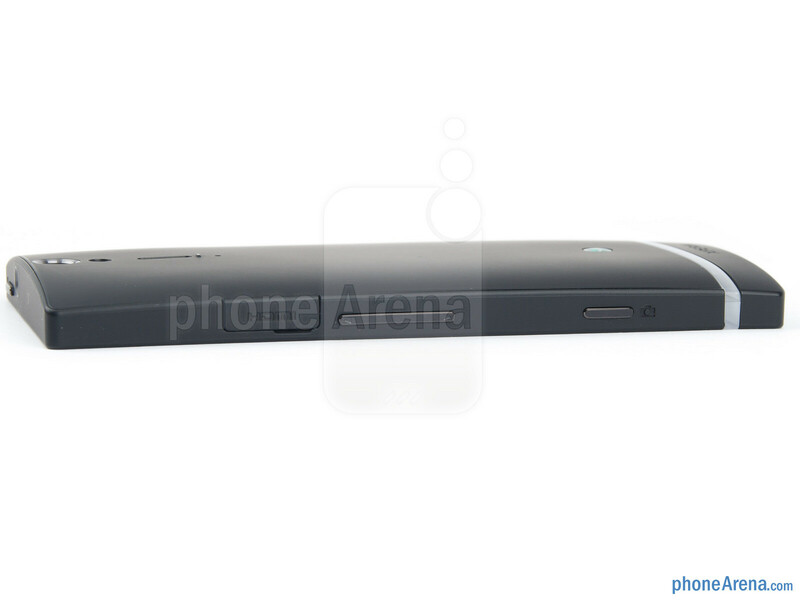 You can compare the Sony Xperia S with many other phones using our Size Visualization Tool. Sony says it has covered the Xperia S in dirt-repellent nanocoating, but the back actually gets blotched really quickly with skin grease even if you don’t peruse it along with chicken fingers. The stains tend to stubbornly stay even if you wipe it afterwards, until they dry out, and the back is also prone to microscopic scratches from everything but a mirror surface. The boxy phone has this rugged good looks, though, so no biggy. 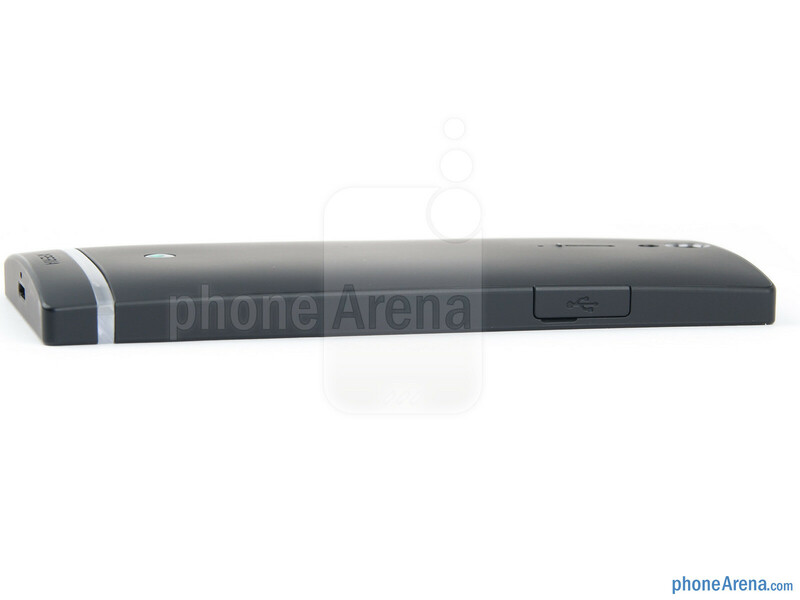 Sony has gone with the narrower but more elongated design that first appeared in the Xperia arc, and which we very much appreciate, as it allows your thumb to reach almost everywhere on the screen, despite its 4.3” size. Even if your hands are not as large, you’ll still be able to navigate fairly comfortably the interface with one hand, compared to most other big-screen phones that come wider. 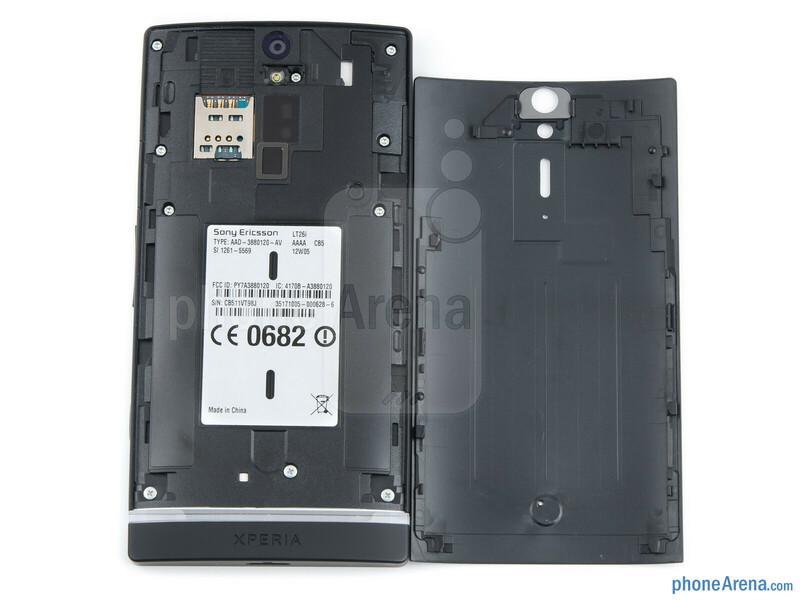 Speaking of one-handed operation, the Xperia S offers good weight distribution, without the most of it concentrated in the upper part around the camera module, as is so often the case. Thus we weren’t worried that it might tip over when we push it up a bit to press the three capacitive Android buttons under the display. We had a ho-hum experience with these buttons - the transparent strip that is a trademark of the new Xperia line lights up with the Android navigation symbols like a back arrow or home, but the keys are three teeny-tiny dots above the respective icon lit up in the strip, and are very easy to miss. You have to tap precisely on the miniature dot, and they are not very responsive to boot, making us tap two or three times to register an action very often. There is no arguing that the transparent illuminated strip is a thing of beauty, though, and the contrast with the edgy black slab when it lights up leaves a very futuristic impression, which Sony has been aiming for with the “Iconic Identity” design. The firm says that this strip, which also houses the antenna parts for improved reception, is meant to emphasize the screen part above it, which deserves separate attention. Looking around the sides we barely notice any buttons and ports, since they are in the color of the chassis, and the microUSB and microHDMI ports are covered with protective flaps with the same paint too. These flaps were another small gripe we had with the design - they are pretty hard to pry open, especially if you are the nail-biting type, and even harder to push back in, but they should break in with time. 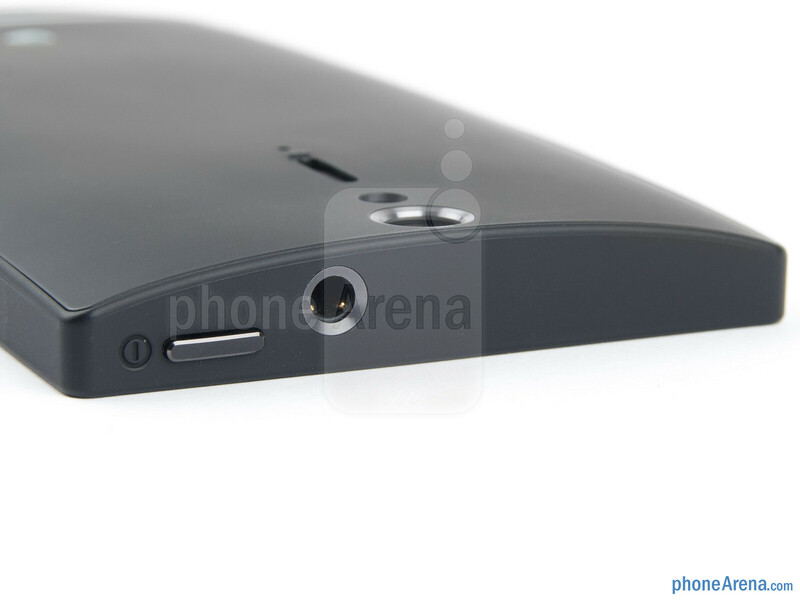 The volume rocker and the two-stage camera key on the right, as well as the lock/power button at the top are distinct to find and tactile. We wish that Sony placed the volume rocker top right under our thumb, instead of putting the HDMI port there, which is not used as often. The rocker in the middle of the right side now tends to be operated with the thumb joint instead of the tip. 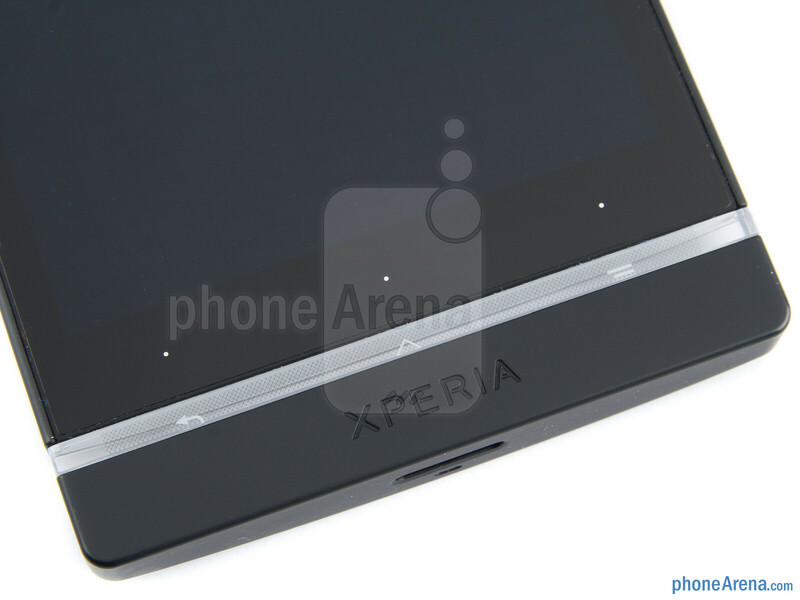 We have the largest display Sony has every placed in a phone on the Xperia S as another “first”. 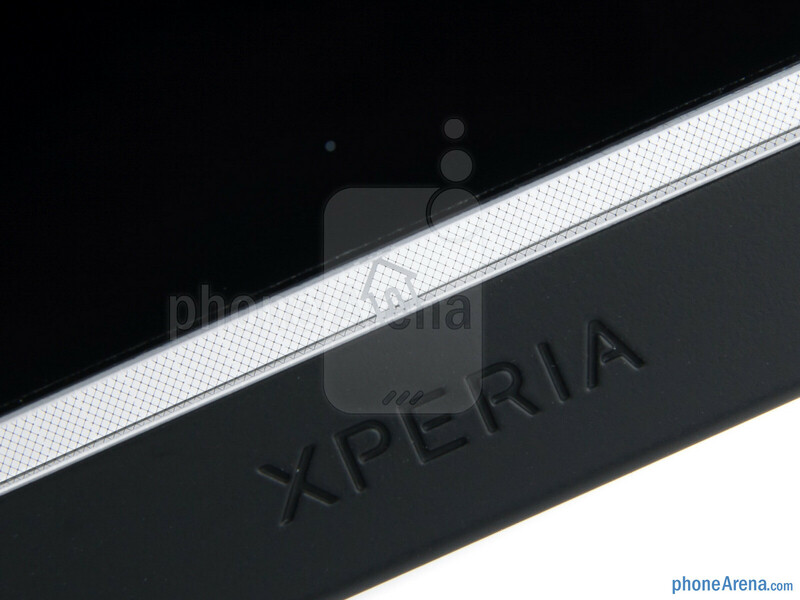 It is 4.3”, and will be beat only by AT&T’s Xperia Ion as far as the Sony stable is concerned. As a sign of the times, the HD display is of 720x1280 pixels of resolution, and is worth every penny the company paid for it to be made. The LCD screen is bright, with popping colors, and viewing angles that barely degrade the image all the way up to 10/170 degrees. Sony has included its Mobile BRAVIA engine that boosts colors and contrast while watching media, which can be turned off. The touch layer is very responsive and registers even the slightest finger tap. Brightness is above average, so outside visibility will only be an issue if the sun shines directly onto it. We are still taken aback by such a high pixel density, despite already reviewing a few phones with HD displays - the amount of detail still manages to wow us. 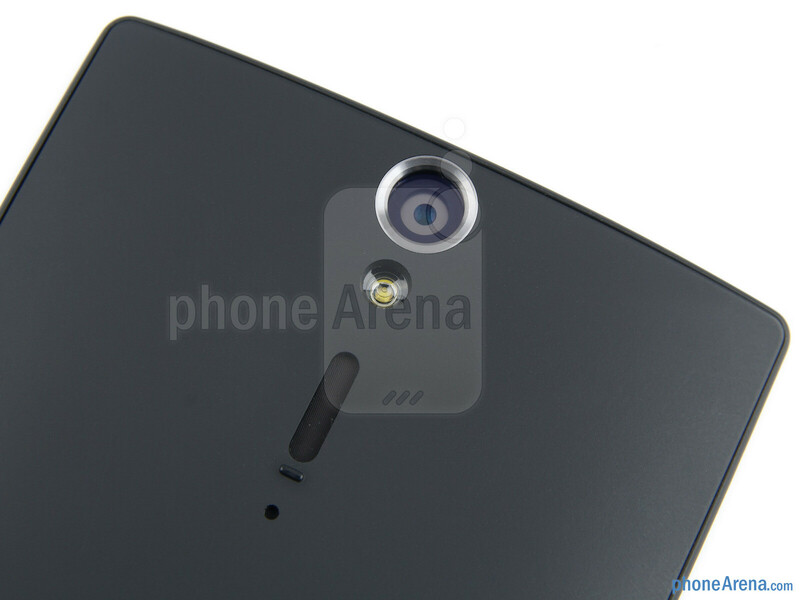 Maybe it’s because in the Sony Xperia S we have 342 ppi pixel density, one of the highest of all HD mobile screens, since most others are bigger. Crisp small text, no icon jaggies, great readability even for zoomed-out websites - HD displays are definitely the way to go, and the Xperia S has a good one. nice phone, for 2011 ! Could you at least tell us why you think its a phone for 2011. 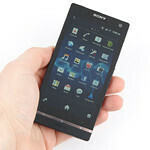 - Android 2.3 not ICS -2011 CPU ( Snapdragon S3 not S4 ) -2011 GPU (Adreno 220) The 2012 phones will be out in april ( One X, Optimus 4x, possibly GS3 as the korean ZDnet mentioned today) Xperia S is a nice looking phone but Sony is to late! There must be a lot of Sony fanboys out there voting you down, because everything you said makes perfect sense, especially the point about its S3 processor. What differentiates this from, say, an HTC Rezound? ICS upgrade is now available and the phone will get Jellybean soon hopefully. 2011 CPU Snapdragon S3? I have the phone and it barely lags and it is extremely responsive. Adreno 220 and 225 isn't that much of a difference. The phone has amazing PPI, great graphics, fast processor 1GB of RAM and is made out of durable materials. Last but not least it's much less expensive than all phones of 2012(One X, Optimus 4x, GS3.) It also features an amazing camera, how I know all this? I bought the phone about a month ago. The buttons are a bit unresponsive at first but once you get the hang of it they aren't really a problem. If you can't find the appropriate place of the buttons, slowly swipe upwards with your finger on the buttons and you will eventually find their places and it won't be a problem any longer. Perhaps because Sony's version of Gingerbread allows much more customization than the normal GB. Or maybe because this deice will be upgraded to ICS before other devices hit the shelf. Why get an ugly platic slab if you can have this. 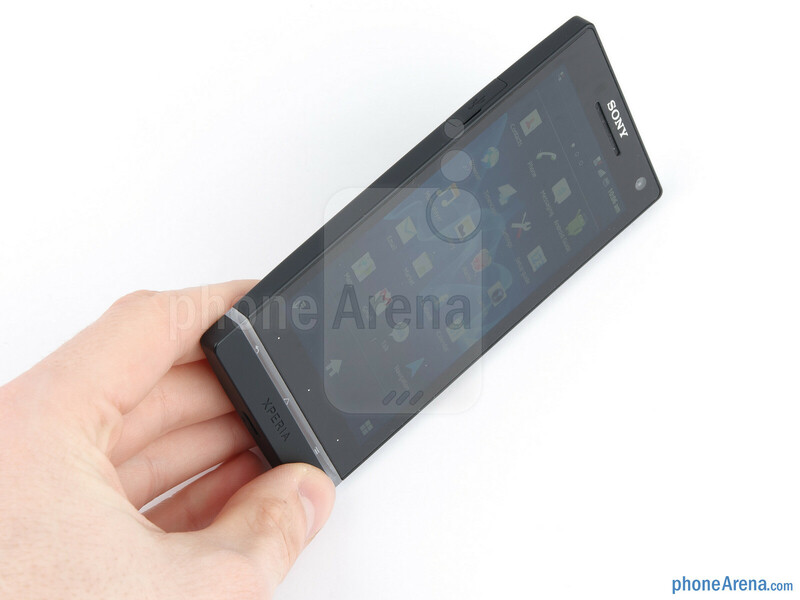 Only the Nokia 800/N9 rivals this handset in looks. 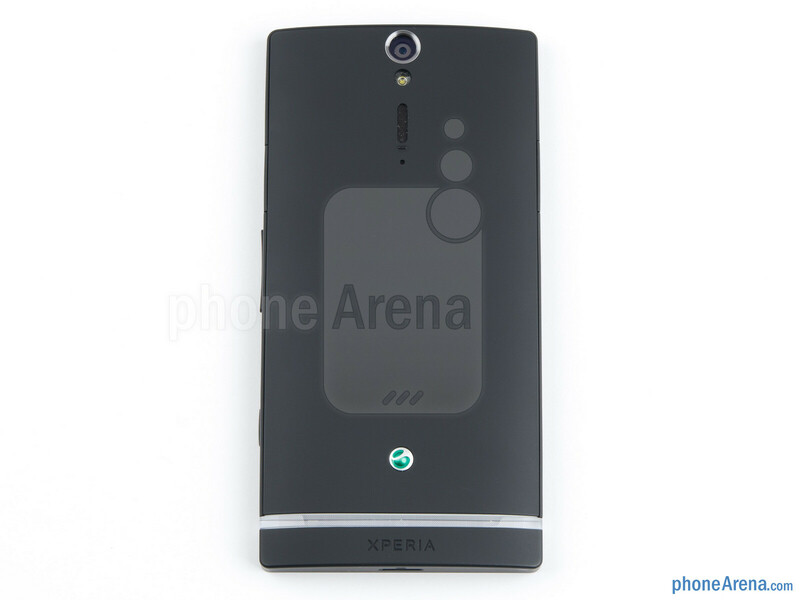 Only because that "ugly plastic slab" looks better than the Sony Xperia S.
Is the S also sports the aluminum body like the P? but it is better in most benchmarks than the S2.. i think it's not whether it is outdated, but whether Sony could optimised it in this handset, which i believe they did..
Firstly, I disagree that its a 2011 phone, sure it has many of the same specs of the galaxy s2 and the likes, but has a better screen and camera by far, also those moaning it has no quad core processor, I dont see why it would need one, particularly ifit runs so well on dual core, just because the technology is available, doesnt mesn it needs to be used, it wont make anawful lot of difference to theaverage phone user anyway, plus it looks on of the best devices recently released, the one x looks like your typical htc device anyway, lacks creativity, tbh, id much rather show this off. Sorry. have the s2 and agree that quad is not necessary but the should have atleast used the new s4 dual core instead of last years s3. love the design of this but hate the fact that the capacitive buttons seem unresponsive,hopefully can be fixed via software and oh the charging speed of this phone looks awesome,the s2 takes forever to charge and is the only negative of the s2. cant wait to have a play round with the s,brithers already ordered it but for me i am waiting for the s3. Yes they should've done I do agree with that point, just see quad core as a tad unnecerssary for the casual user, but S4 would have been preffered and yes, it is also a shame about the capacitive buttons too, but currently deciding between this and the Xperia P, so looks like that'll be an issue for me either way! believe me i've tried it at the store the capacitive buttons are no way unresponsive its just the review opinion, i mean i dont even need to try its like everything else! If this would have come out in Nov of last year I would have been all over it :( Love the design Love the camera quality and functions Love Sony.